It’s hard to cross the threshold of a place that doesn’t feel like it’s for you. 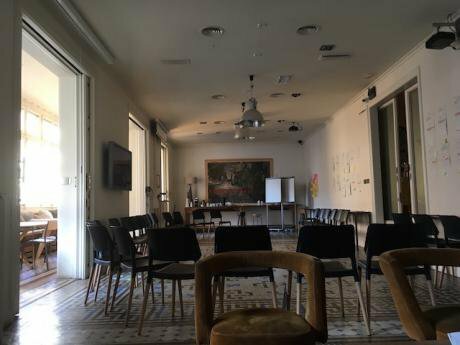 Artchimboldi, plenary room for Team Syntegrity 2017, Barcelona.We’re losing space; the spaces where we used to come together to talk, to dance, to debate, to play, to make love, to form new ideas about the world. And not just spaces in the physical sense (community centres, youth clubs & nightclubs) but metaphysical spaces – from the gulf that exists between people to the amount of space we physically take up; our space is at breaking point and for civil society to flourish we need to address how to reclaim it. The future of civil society depends on it. It’s a time of overwhelming isolationism, as borders go up people sink further into their shells; doors shut with algorithm screens that feed us our future. Social media lulling us into a false sense of community – one that we design ourselves, hearing what we want and filling the void of the need for human connection. With the loss of this space; we mourn the loss of human interaction. Discussion room 1, Team Syntegrity 2017.On a recent trip to Birmingham I visited a homeless shelter for young people, a small, run down church on the edge of an industrial estate. Inside young men crammed in, sat out of the cold, a space they knew was for them, a place for them to go. Around the corner from the centre I also visit a newly refurbished café and art space. It reminds me of the old colonial buildings in Cairo, massive open plan, fresh, indoor garden and a coffee shop selling perfect coffee. It’s empty. A man sits at his laptop, alone, chairs and tables abandoned – not a soul in sight. He sits alone because that space isn’t made for everyone, over-priced coffee and fancy décor creates a boundary that keeps others out. It’s hard to cross the threshold of a place that doesn’t feel like it’s for you. Perhaps it’s about attitude, or confidence or maybe it’s about the physical walls we put up and what colour we paint them. These parallel worlds exist side by side, parallel streets, parallel lives. They don’t see each other. This use of space divides us, pushes us further apart, it magnifies difference, fuelling social stigma. Dependent on your social status you inhabit society differently: how much change you have in your pocket determines what space is yours and how much room you take up. We need spaces for encounter, whether that’s reclaimed space or space that needs to be built. These spaces have to be accessible, they have to be free and they have to be worth going to. If we want a progressive and fair society then we have to find and establish this space with the guidance and knowledge of the community that it serves. It has to belong to the people, they have to have a stake in it. It is in the creation and running of these spaces that we will realise human potential and begin to start shaping a future that puts people at the heart of society. At work in Team Syntegrity 2017.If we want a society where we can build relationships, integrate, understand and share we have to fight for spaces where those interactions can take place. Historically we played our part in building these; the miners halls in South Wales became central spaces where people grew in knowledge and power. These environments have given birth to some of the most monumental visions of our time, the NHS is one. Parc and Dare Miner's Institute in 1894. Located in Treorchy, Rhondda, South Wales. Wikicommons. Some rights reserved. 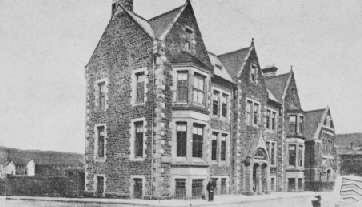 In Treorchy, South Wales, in 1892 the miners built a working man’s institute called the Parc and Dare. They built this space by donating a penny from every pound of their wages, they saw value in it and what it meant to come together. It was here that exchanges were had and ideas formed. In today’s society have we lost the notion of what is valuable about space? Where are the spaces where people regardless of circumstance come together? Do they exist? and if they don’t how can we build them? We need to start building. If the miners did it back in 1892, can’t we? 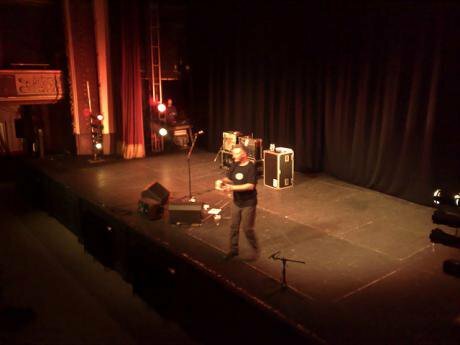 Billy Bragg with a cup of tea on stage at the end of the gig at the Parc and Dare Theatre in Treorchy in 2008. Flickr/ Mark Hillary. Some rights reserved.